About 12 years ago we had the pleasure of spending a wonderful week touring Yosemite National Park in California. We had visited the park in late Spring that year to celebrate our 15th wedding anniversary and had a wonderful time. If you have never visited Yosemite National Park...you are really missing out! The area is gorgeous and totally unforgettable. 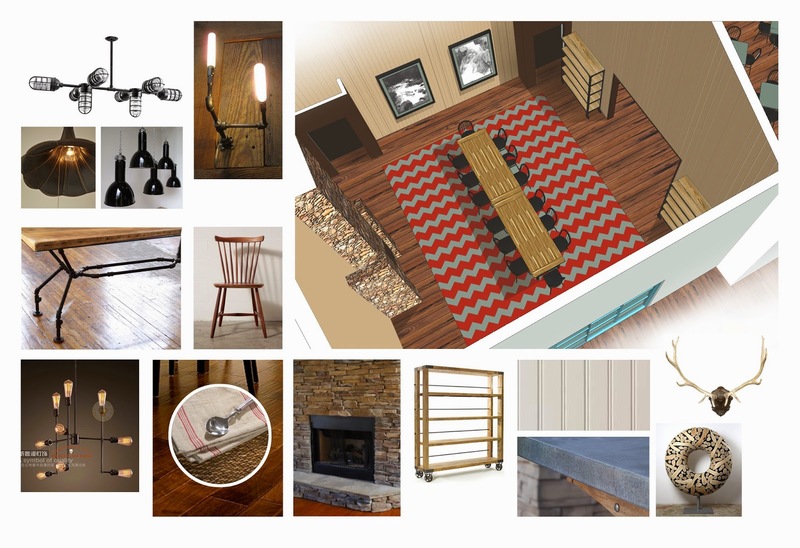 Today, I am sharing with all of you some information about Rush Creek Lodge which will be opening in the spring of 2016 and will feature 143 contemporary rooms, suites, and hillside family villas. The opening coincides with the 100th anniversary of the National Park Service and marks the 126th anniversary of Yosemite, the nation’s third National Park. Set less than a mile from the park’s Highway 120 West entrance, Rush Creek Lodge is a three-hour drive from the San Francisco Bay Area. 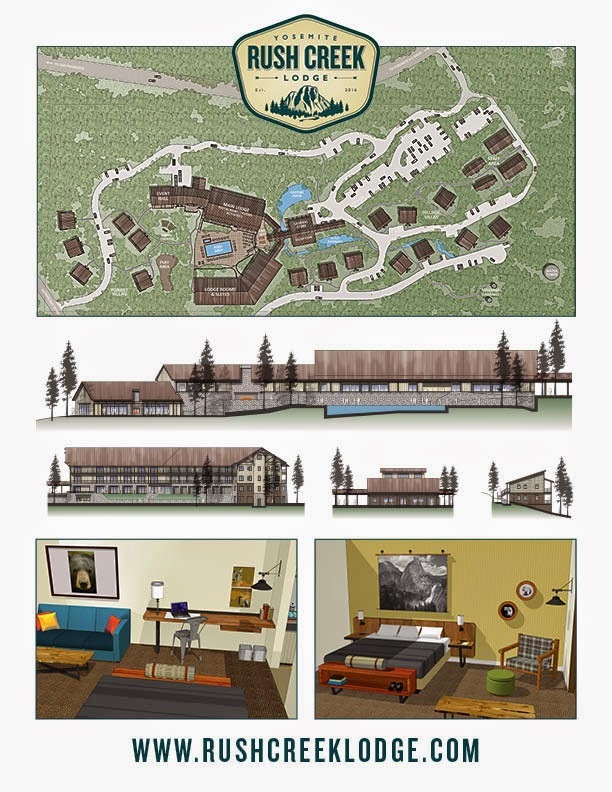 The contemporary mountain resort is the first resort to open in the park’s vicinity in more than twenty-five years, offering Yosemite explorers a new lodging option with 143 rooms, as well as amenities for travelers, such as a dining destination to enjoy California lodge cuisine, a general store for provisions on the way to the park and a full service guided recreation program. Rush Creek Lodge, a newly developed resort in a coveted Yosemite location, features spectacular sunset views, a forested hillside setting and a breathtaking expanse of nature. Inspired by the mountain backdrop, Rush Creek Lodge marries an authentic, timeless feel with modern amenities for a consummate national park lodge experience that is both relaxed and sophisticated. Located less than a mile from the park’s Highway 120 West entrance, Rush Creek Lodge is a scenic three-hour drive from the San Francisco Bay Area and is a sister property to the nearby historic Evergreen Lodge. Both properties are owned and operated by First Light Hospitality. The spring 2016 opening coincides with the 100th anniversary of the National Park Service and marks the 126th anniversary of Yosemite, one of the nation’s original National Parks. 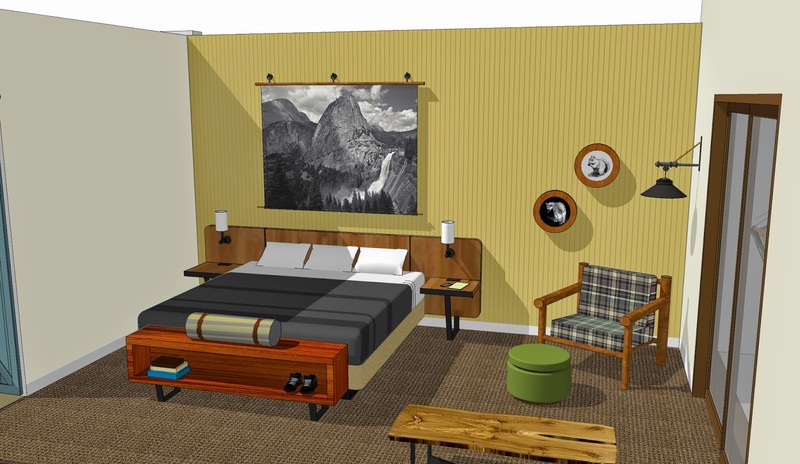 The new lodge provides a “resort base camp” at the doorstep of Yosemite National Park. Set on twenty woodland acres, the hillside resort boasts a grand main lodge and a mix of 143 rooms, suites and two-bedroom villas, ideal for families, couples and individuals alike. Inspired by the breathtaking natural surroundings, Rush Creek Lodge embodies a sophisticated, modern approach to design that integrates natural and raw materials to achieve an authentic feel and a distinct overall sense of place. Yosemite activities create robust appetites, and the on-site restaurant and tavern at Rush Creek Lodge are set to tantalize with fresh, hearty and sophisticated California lodge cuisine. The restaurant’s open display kitchen showcases a wood-fired oven and cozy hearth, and both tavern and restaurant feature indoor/outdoor seating options to accentuate every dining experience with a distinctive High Sierra flair. Ideal for destination events, retreats and weddings, Rush Creek Lodge features customizable, full-service meeting and event space for groups up to 250. Guests may select open air meeting options or indoor settings. About Rush Creek Lodge: A contemporary mountain resort, Rush Creek Lodge is the first resort to open in the Yosemite National Park area in more than twenty-five years. Set on twenty woodland acres, less than a mile from the park’s Highway 120 West entrance, the most direct route from the San Francisco Bay Area, the new lodge provides a “resort base camp” with a “rustic modern” sensibility at the doorstep of the park. Rush Creek Lodge is a scenic three-hour drive from the San Francisco Bay Area. A sister property to the Evergreen Lodge, Rush Creek Lodge is owned and operated by First Light Hospitality, based in San Francisco and founded by Brian Anderluh and Lee Zimmerman. For more information, visit www.rushcreeklodge.com.